— The U.S. 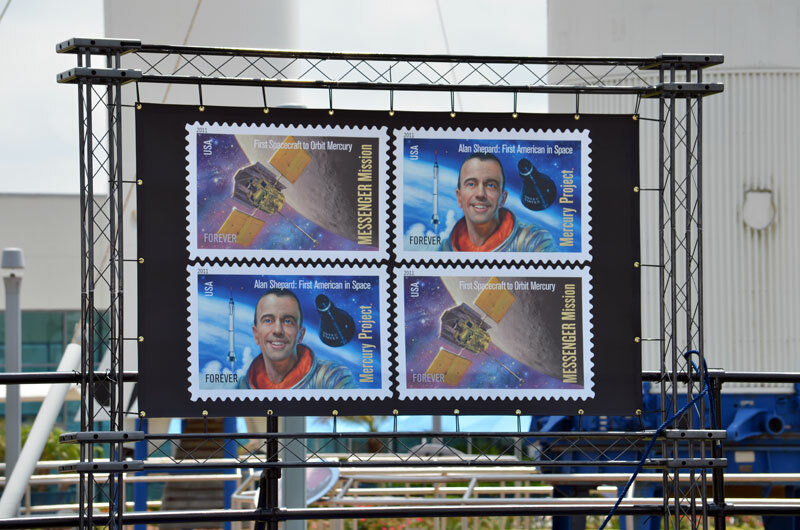 Postal Service dedicated two new space-theme stamps on Wednesday commemorating two historic events — one that took place half a century ago, and the second that is making history now. 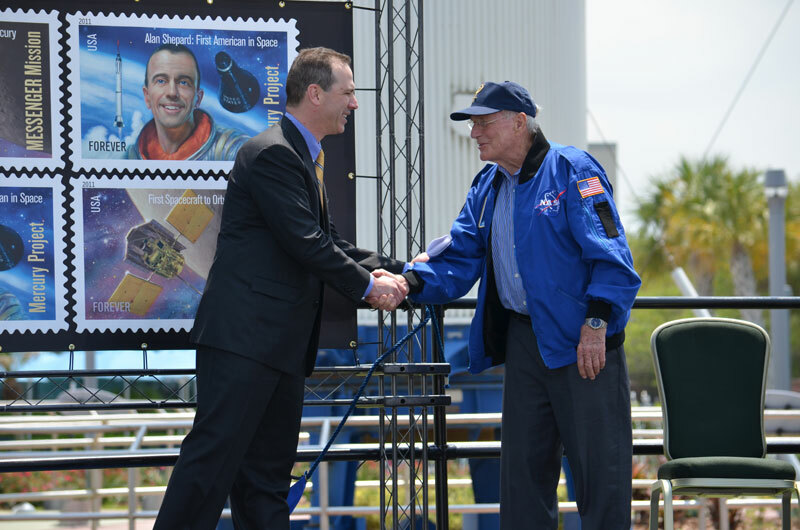 The 50th anniversary of the United States' first crewed spaceflight and a robotic spacecraft currently charting planet Mercury were commemorated May 4, 2011 on two first-class stamps. The dedication ceremony took place next to a seven-story replica of the rocket Alan Shepard rode atop to become America's first man in space. 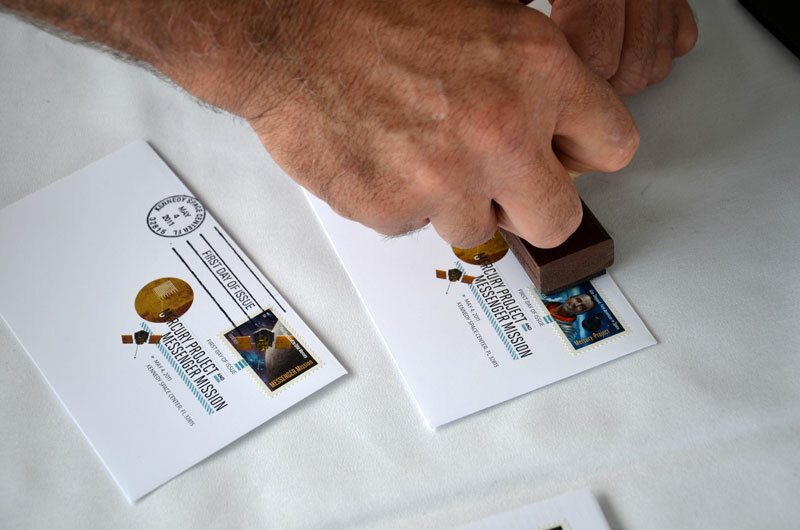 A second stamp celebrates MESSENGER, which is currently orbiting and mapping Mercury. U.S. 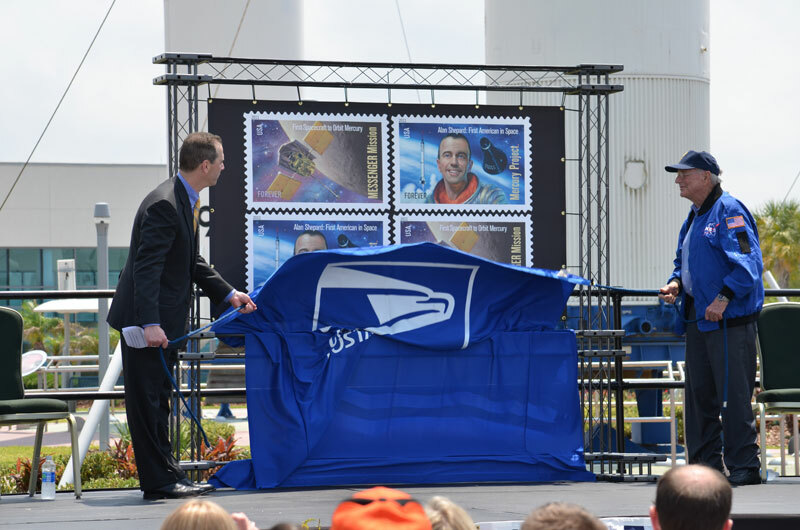 Postal Service Vice President for Finance and Planning Stephen Masse, left, and Mercury astronaut Scott Carpenter, right, unveil the artwork for new postage stamps honoring first American in space Alan Shepard and NASA's MESSENGER mission. 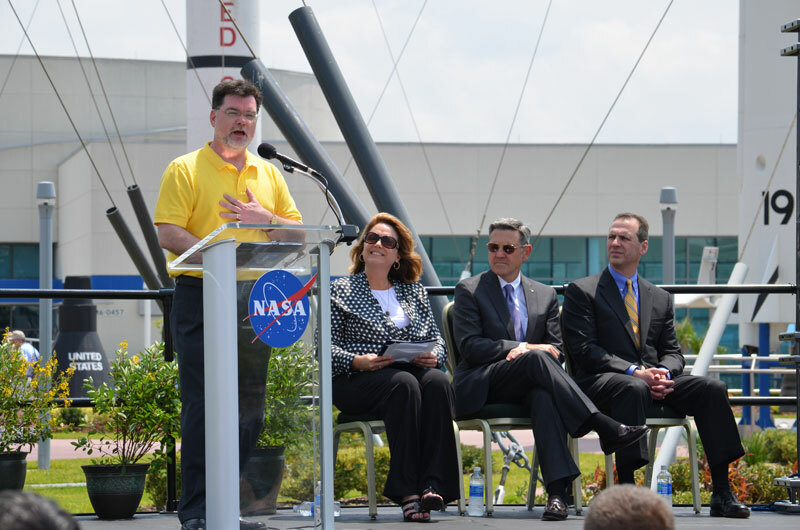 Kennedy Space Center director Robert Cabana speaks at the U.S. 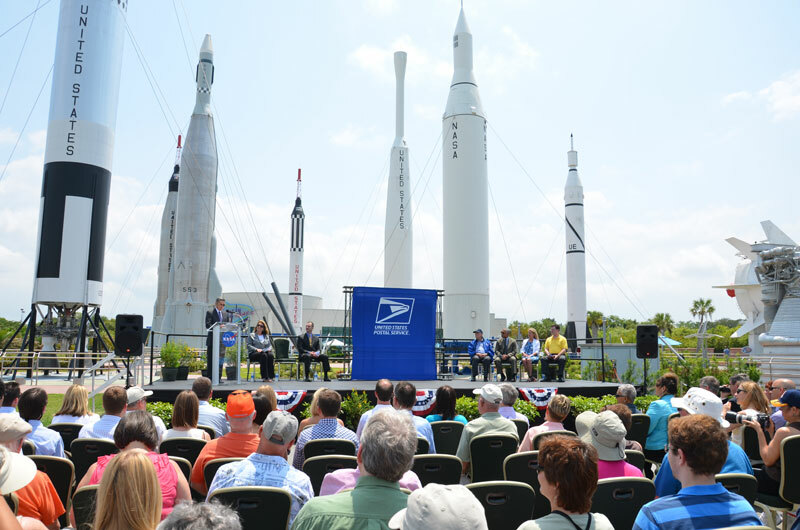 Postal Service "Mercury Project, MESSENGER Mission" stamps first-day-of-issue ceremony held in the Rocket Garden at the Kennedy Space Center Visitor Complex in Florida. 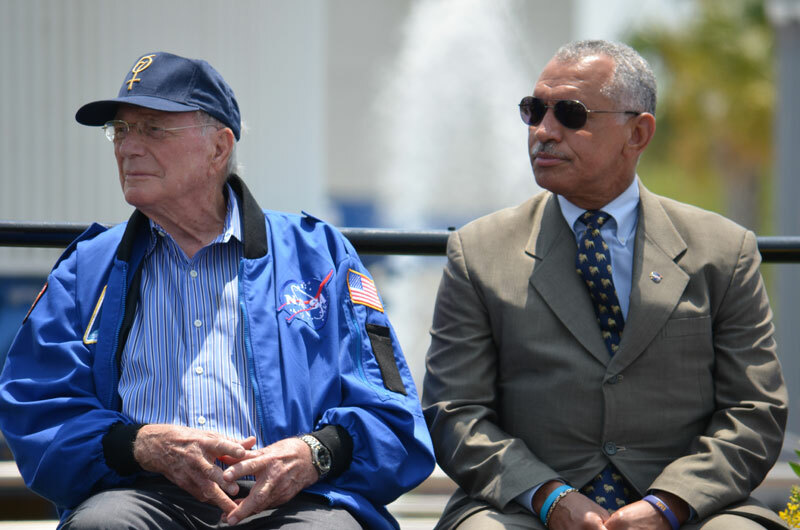 Mercury-Atlas 7 astronaut Scott Carpenter, left, and NASA Administrator Charles Bolden, also a former astronaut. 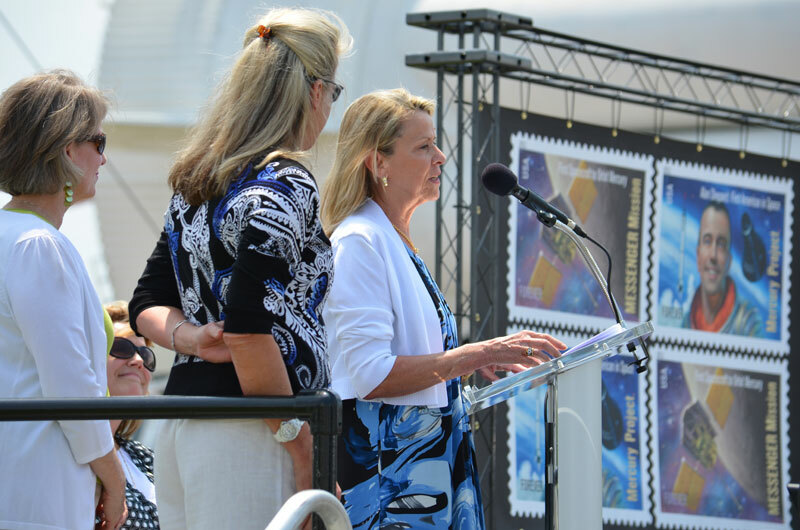 Astronaut Alan Shepard's daughters Alice Wackermann, left, Laura Churchley, middle, and Julie Jenkens, right at podium. 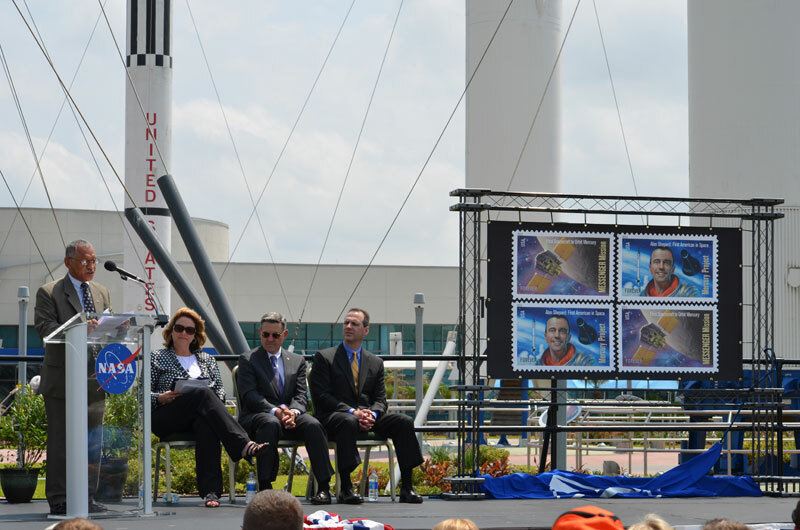 NASA Deputy Director of Planetary Science Jim Adams (at podium) speaks as Kennedy Space Center Director of Education and External Relations Cheryl Hurst, Kennedy Space Center Director Robert Cabana and USPS Vice President Stephen Masse looks on. "I want to thank the U.S. 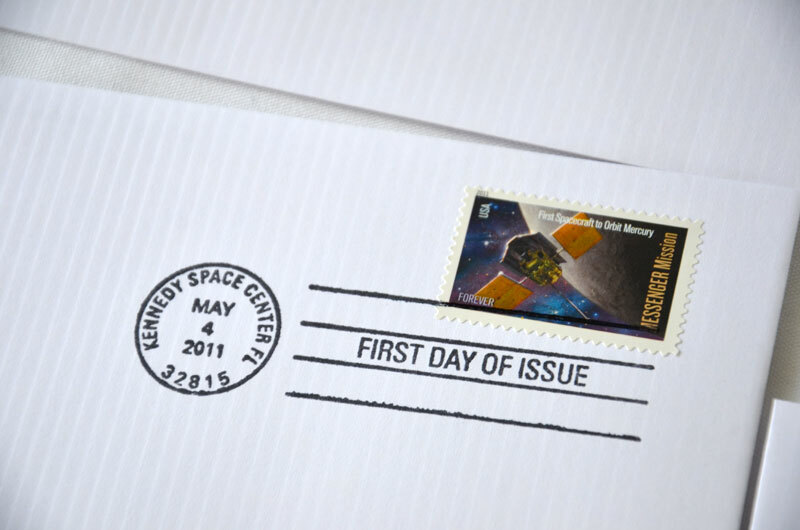 Postal Service for their initiative in bringing the awareness of spaceflight and science to wider audiences through these two works of art, and that's really what they are." — NASA Administrator Charles Bolden. 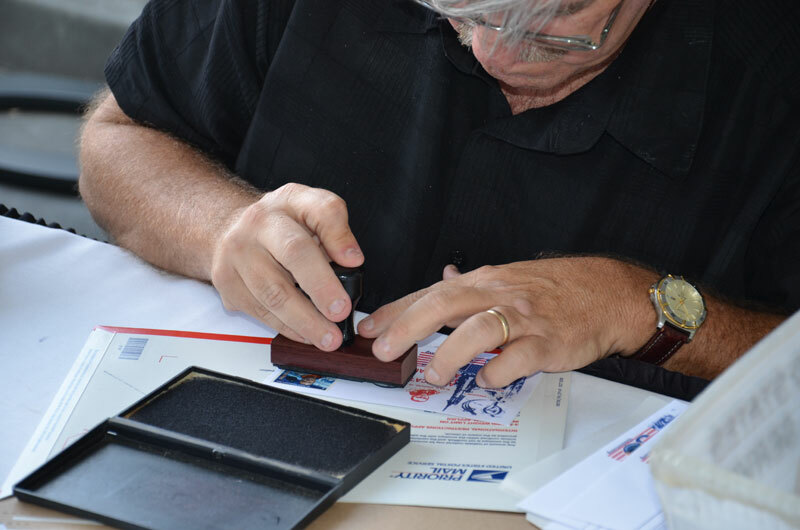 Space Coast Cover Service proprietor Ken Havekotte applies a first day of issue cancellation to an envelope with the new "Mercury Project" U.S. stamp honoring first American astronaut in space Alan Shepard.